Medieval atmosphere meets Victorian style at Kellie Castle. The oldest parts date back to the 14th century, but the whole interior was overhauled in the late 19th century by the Lorimers, a famous artistic family. Crow-stepped gables and fairytale stone towers form the outer frame, while indoors elaborate plaster ceilings and painted panelling lie alongside fine furniture designed by Sir Robert Lorimer, who spent much of his childhood at Kellie. 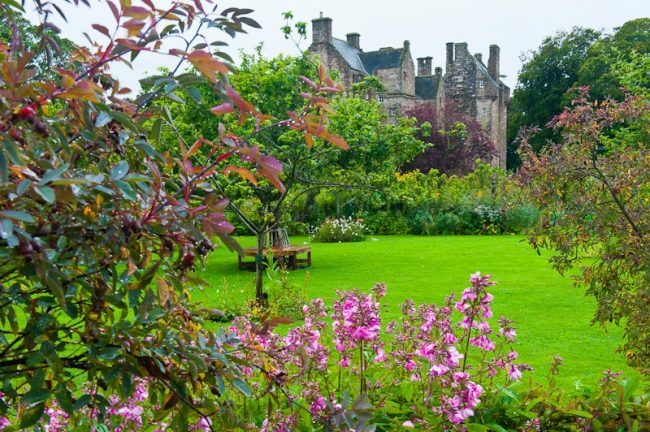 Outside, take a wander through the Arts & Crafts garden with its magnificent herbaceous borders, filled with the heavy scent of old roses, along with fruit and vegetables which are all grown organically.